This limited edition hardback book is packed with images from nearly 60 of our artists. With an introduction by naturalist and broadcaster Chris Packham, a short history of the Society by past President and founder Robert Gillmor, plus text by current President Harriet Mead about the Society in its 50th year and Bruce Pearson looking to the future, this is both a beautiful and informative book. With field sketches, drawings, original prints, oils, acrylics, mixed media, bronzes, ceramics and found object sculpture there are gems on every page. 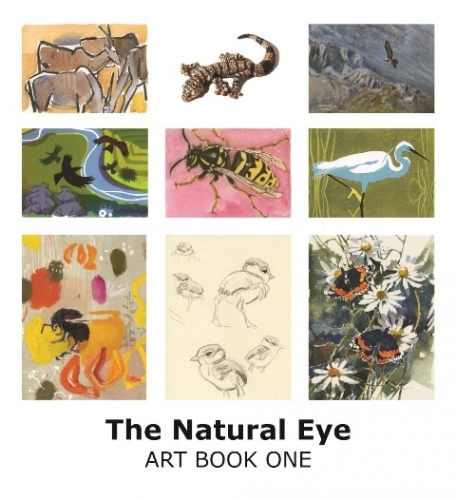 Each of the contributing artists have written short anecdotes about the work that they have donated and funds from the sale of the book will help the Society to encourage and support artists inspired by the natural world through the SWLA Bursaries and other opportunities. BBC Wildlife Magazine’s ‘Book of the Month’. At only £20 plus p&p it makes an affordable and desirable addition to any art or wildlife lovers bookshelf. This entry was posted in Projects, Uncategorized on November 2, 2013 by harriet mead.